The new iJust NexGen by Eleaf not only comes with the well-made HW coils that are designed for ultimate flavor, but also features the retractable top system for ease of filling the tank. Being an all-in-one style setup, it skillfully packs a long sustainable built-in 3000mAh battery with a 2ml tank in a compact tube-like unit. With a single button to operate it, the iJust NexGen is quite easy to use. Also with intuitive four color LEDs, you can easily check the battery status by a simple glance at the color of the light. The iJust NexGen skillfully integrates a built-in battery with a 2ml tank in one unit. The tank section can be detached and reassembled for easy cleaning and maintenance. The iJust NexGen comes with the well-made HW1 coil that provides a large amount of vapor production with optimal flavor. 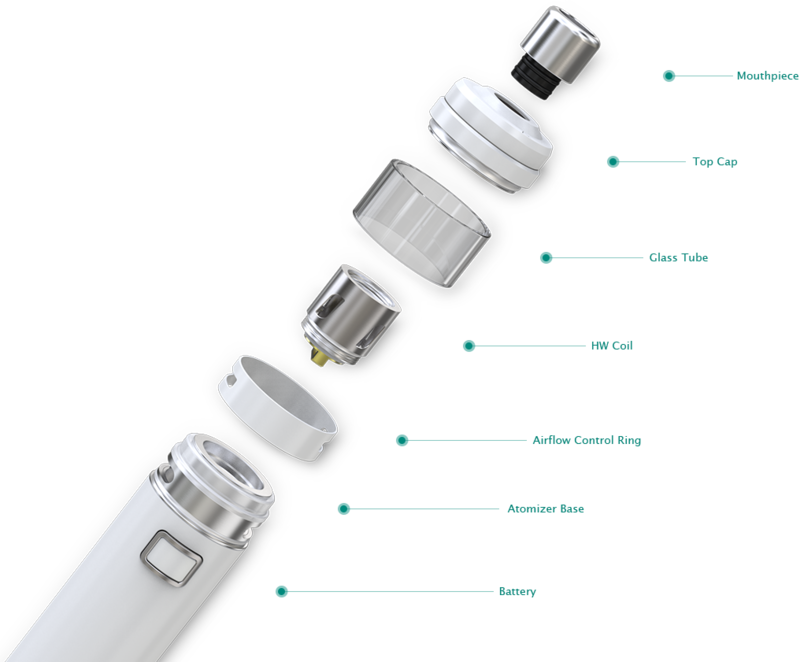 To fill the tank, you just need to slide the top cap with drip tip back to reveal the fill port. With a single button to operate it, the iJust NexGen is easy to use, which is a nice choice for starter vapers or a back up for advanced vapers. The iJust NexGen comes with a large battery capacity of 3000mAh, which can last you a rather long time of vaping. With intuitive four color LEDs, you can easily check the battery status by a simple glance at the color of the light. The airflow can be adjusted by rotating the airflow control ring on the air pipe. 6 colors are available for your choice including classic silver, matte black, white, red and grey as well as a blue color with sparkling finish. Simply plug the device in to a wall adapter or computer to charge the iJust NexGen.